You are here: HomenextPeoplenextOrganisationsnextSportsnextWickford Cricket Club's centenary celebration. In 1987, the Cricket Club celebrated 100 years. 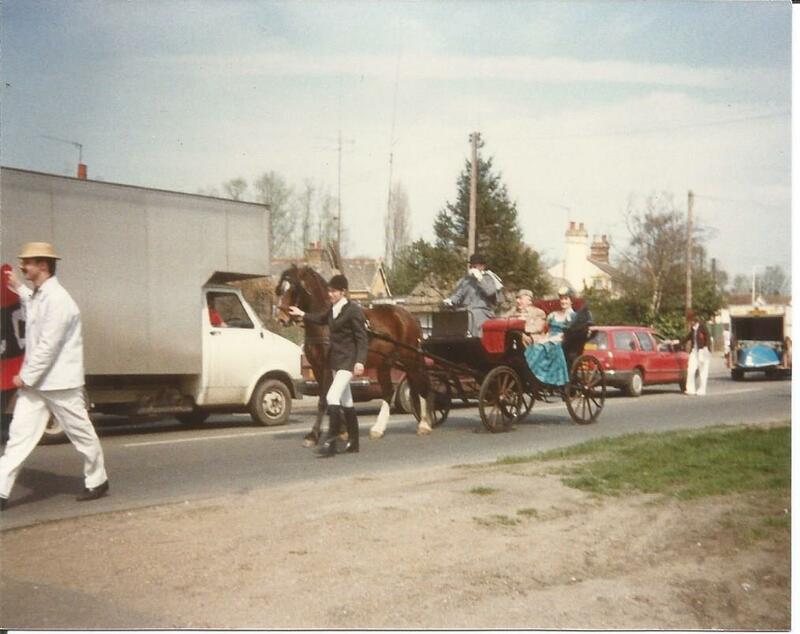 In April 1987, Wickford Cricket Club celebrated its centenary by holding a parade in the town. 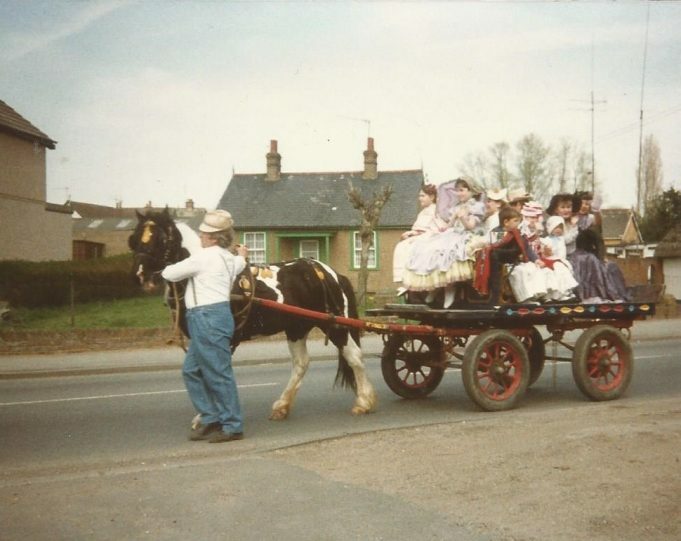 The colour photographs were brought to the archive by John Potton. The black and white picture is from the Echo archive. The man on the left with the bowler hat and the striped coat has been identified as James Maye.